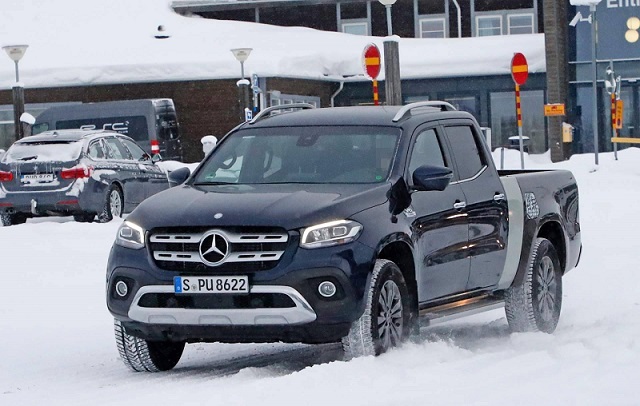 It isn’t any secret at all that Mercedes wants to offer its only pickup truck to North American customers. Of course, the German automaker hasn’t confirmed the information so far and it won’t until the U.S.-specs 2020 Mercedes-Benz X-Class doesn’t become a done deal. Judging by the newest spy shots, the “boiling point” is going to happen pretty soon. In case you didn’t figure out by yourself, the uncovered prototype sports an extended bed, which is one of the first prerequisites for the U.S. mid-size pickup truck segment. 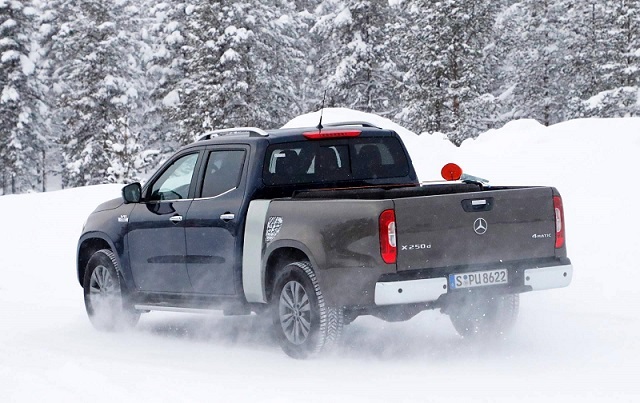 So far, the X-Class was offered in double cab short-bed configuration only. The setup might be suitable for the rest of the world, yet not for U.S. buyers. No, they simply need a more practical workhorse. In addition to the extended bed, the U.S.-specs 2020 Mercedes-Benz X-Class requires more power under the hood. Regardless of the fact that the prototype sports V6 badges on its fenders, the truck is using a base 2.3-liter four-cylinder turbodiesel. We know that thanks to the specific tailgate. The U.S.-specs X-Class will have to do better, though. Mercedes will not skip the opportunity to offer a diesel powertrain for sure. No, oil-burners are slowly taking the mid-size pickup truck segment, so why would the German automaker skip the chance when they own a suitable drivetrain already? 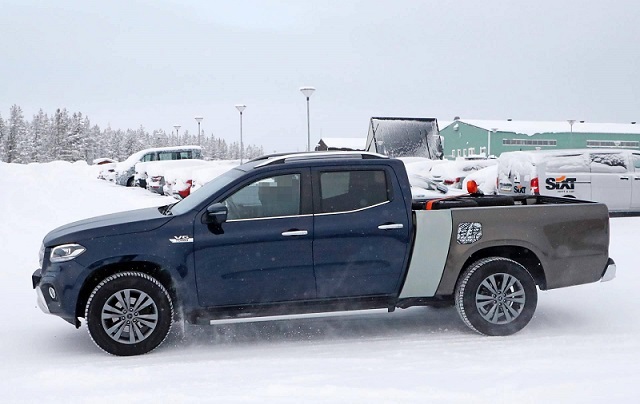 Yes, the pickup will definitely use a 3.0-liter V6 turbodiesel engine which is capable of producing 255 horsepower and 405 pound-feet of torque. 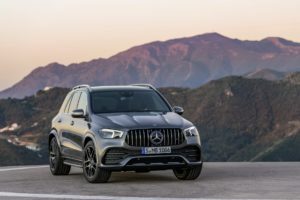 The option will use the amazing 4Matic four-wheel drive that will get power via a 7G-Tronic seven-speed automatic transmission. Of course, the luxurious pickup truck will have a few gasoline options to show to the U.S. public. While we are not so sure is there going to be room for today’s inline four which delivers 208 horsepower and 258 pound-feet of torque, we are certain that the automaker won’t leave the pickup without some kind of V6 engine. Moreover, Mercedes is reconsidering a V8-based option to be the topper. 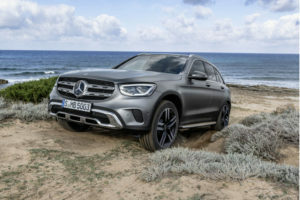 As far as we’ve heard, the vanilla version of the U.S.-specs 2020 X-Class will be hooked up to a detuned version of the biturbo 4.0-liter engine. The stretched wheelbase of the pickup truck isn’t everything the automaker is going to change here. No, with the extra inches, the X-Class needs new suspension adjustments as well, especially in the rear. On the other hand, the manufacturer will not have to bring any dramatic changes inside of the cabin, because the X-Class looks breathtaking already. In addition to the amazing cabin, the workhorse owns a quite amount of useful features including eight-way electrically-adjustable seats with heating option, leather-wrapped steering wheels, leather, and microfiber upholstery, and a terrific leather-treated dashboard with optional aluminum accents. The U.S.-specs 2020 Mercedes-Benz X-Class will be loaded with useful safety kit. The list is pretty long and includes Active Brake Assist, Active Lane Keeping Assist, Traffic Sign Assist, Hill-Start Assist, Downhill Speed Regulation, a Thatcham anti-theft security package and a load securing rail system. The pickup will also provide five driving modes: Eco, Comfort, Sport, Off-Road, and Manual.